Senior Jini Kim recently won five awards at the 2016 Regional Scholastic Art and Writing Awards contest. She entered five paintings, and every piece received recognition. 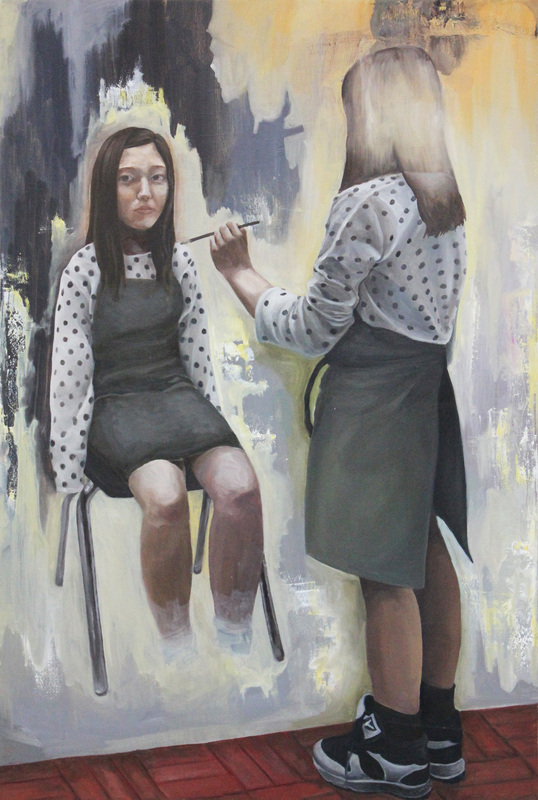 The Regional Scholastic Art and Writing Awards is a program for students across the country to submit works of art or writing in hopes of receiving recognition for their work. This program has been around for almost 100 years and has produced many successful artists and writers. It allows students to showcase their work on a much broader scale, reaching not only people across the country, but also potentially people all over the world. One of Kim’s awarding winning pieces. Students who enter their work into this competition at the regional level, as Kim did, have the potential to win scholarships and be awarded “keys,” either gold or silver, as well as honorable mention awards. These awards are given only to the highest caliber of work, and it is an honor to be chosen. Kim won a gold key, a silver key and three honorable mentions. When her current art teacher, Ms. Mary Kate Hannah, found out that Kim had won, she was “ecstatic, proud, delighted, and not surprised,” she said. Ms. Hannah has taught Kim for both of her sophomore and senior years and even had a lot of interaction with Kim during Kim’s junior year of art, even though she was not Kim’s main teacher. Ms. Hannah described Kim as, “teacher’s heaven,” she said. “[She is] very self-motivated, focused, driven, and has an excellent work ethic,” Ms. Hannah added. 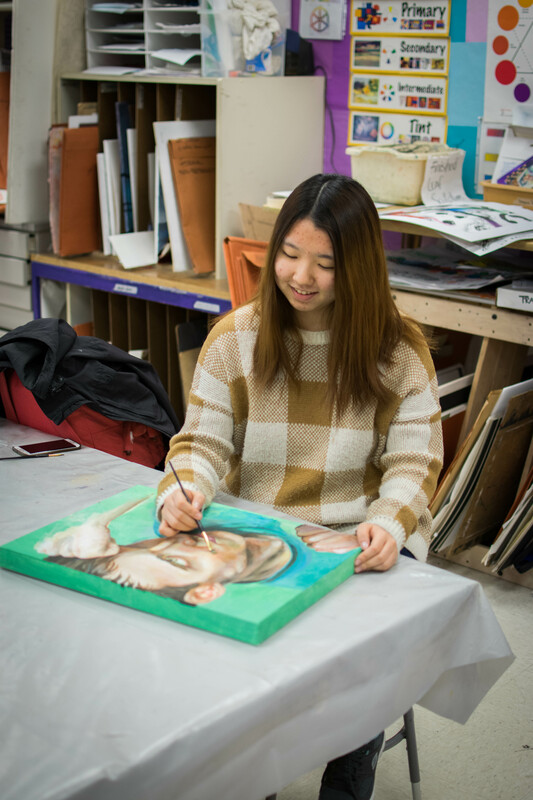 During her college application process, Kim asked Ms. Hannah to fill out recommendations for her, and she provided colleges with her art portfolio featuring work from her art classes at Mt. Hebron. They also discussed scholarship opportunities. However, Ms. Hannah does not take credit for Kim’s success. “I collaborate with Jini to generate ideas,” she said, but Kim’s work is all her own. As far as teaching techniques to Kim, Ms. Hannah said, “She really has developed her own techniques.” She has her own way of painting, and Ms. Hannah could not teach her that. Kim had to discover it on her own. Kim dotes on a piece of her artwork. Kim likes to “express ideas using realistic painting,” she said, and the media that she prefers are oil and acrylic, two types of paint. Kim did not start off with the skill she has now. She started painting at the age of seven, after her kindergarten teacher “changed her life,” she said. After discovering her passion for painting, Kim practiced at home and also went to an art school to improve her talent. At the Artipre Art Institute of Maryland, Kim developed strong skills and learned about how to prepare portfolios for applying to colleges. Kim hopes to pursue art in college, with a major in illustration. Kim applied to four schools and has, so far, received three letters back. Kim would like to attend the School of Visual Arts in New York, which is known for its wonderful art programs.